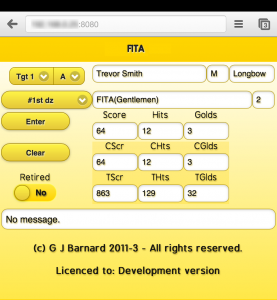 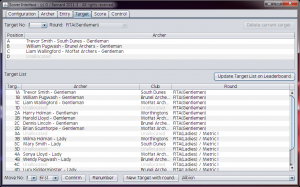 ‘Arrow Score’ is a multi-user scoring system for archery competitions that was created out of my MSc dissertation entitled ‘A Real-time, Lightweight, Wireless Client Server System’. 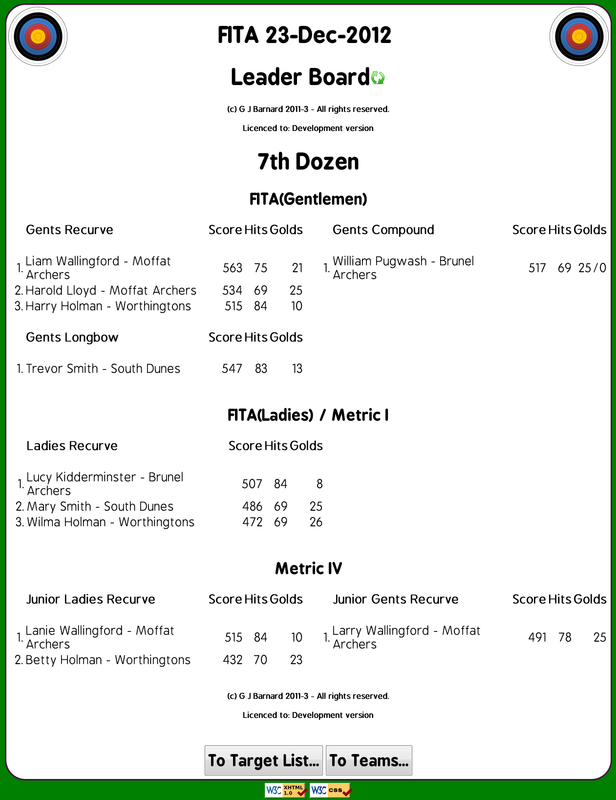 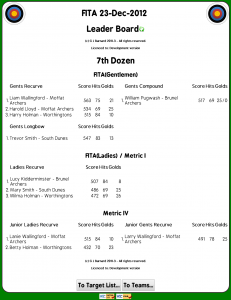 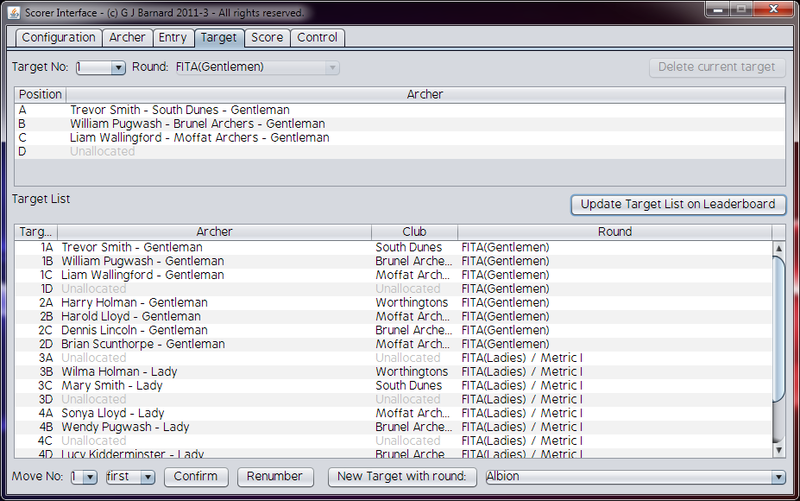 Multiple simultaneous scorers to control competition details, archers, entries, target allocation and reporting. 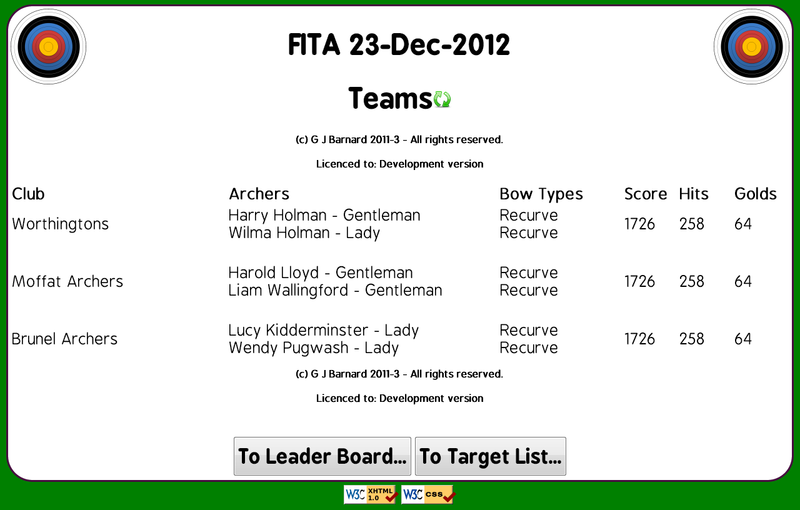 Multiple simultaneous runners to enter scores via both net book / laptop and mobile web interfaces. 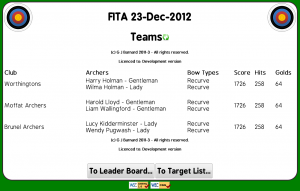 Web browser accessible leader board, target list and teams reporting. 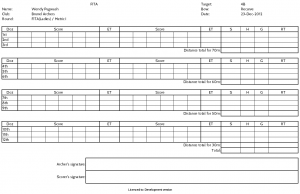 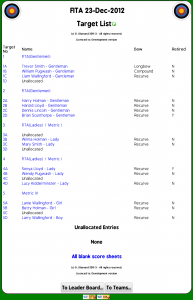 Blank score sheet creation using a web browser for ease of printing. 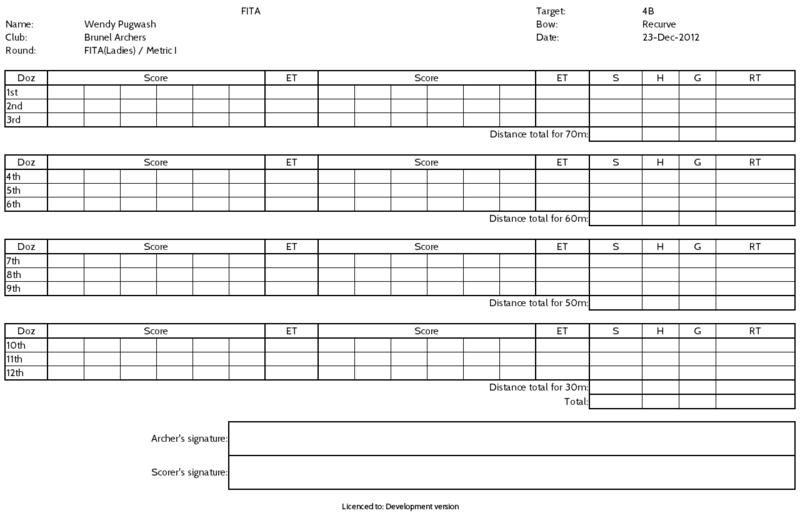 Developed in Java(tm) Standard Edition version 6 for simplicity and multi-platform operation including the Raspberry Pi. 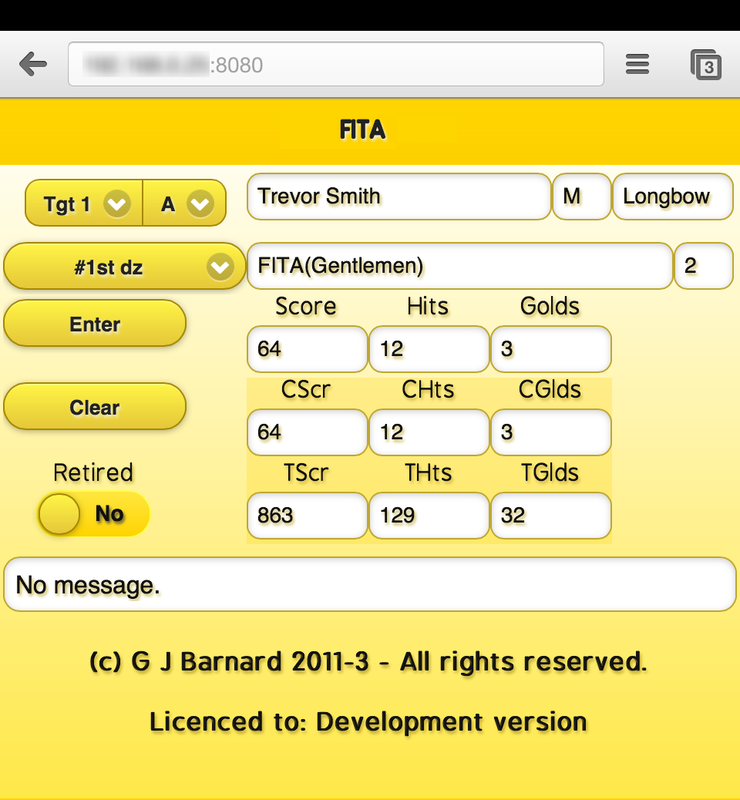 I am investigating the desired licensing model by the archery community to facilitate the completion of the distribution process. 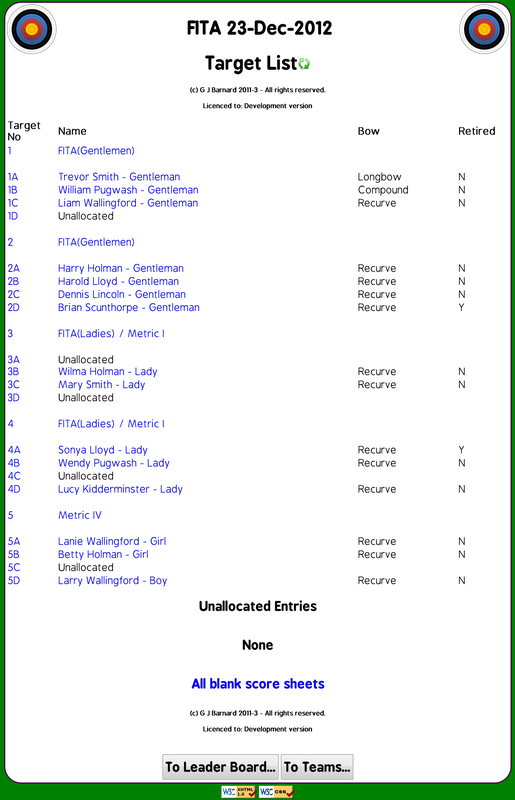 A trail version which is supplied ‘as is’ can be sought by contacting me on .